Soak up our Southern hospitality with unlimited food and drink, everything from Gu and gummy bears to potato chips and cookies, along with Southern classics like pimento cheese sandwiches and banana pudding. On Memorial Day Monday, we’ll have hot dogs and root beer floats, so you don’t even need to barbeque! Take on any distance from 5K to ultramarathon and run away from those banjos you hear. Our ten hour time limit lets you go slow as molasses if you want to. And our unique multi-lap course means you’ll always be with all of your friends, who will become family, because that’s just how we do things here in the South. The most customizable races you’ll ever be part of, you can run one, two, or all three days, mix and match your distances, or take on the ultimate challenge of three ultramarathons in three days in three states to earn a 100 miler buckle. The course is a paved park path adjacent to the Black-and-Yellow Playground. 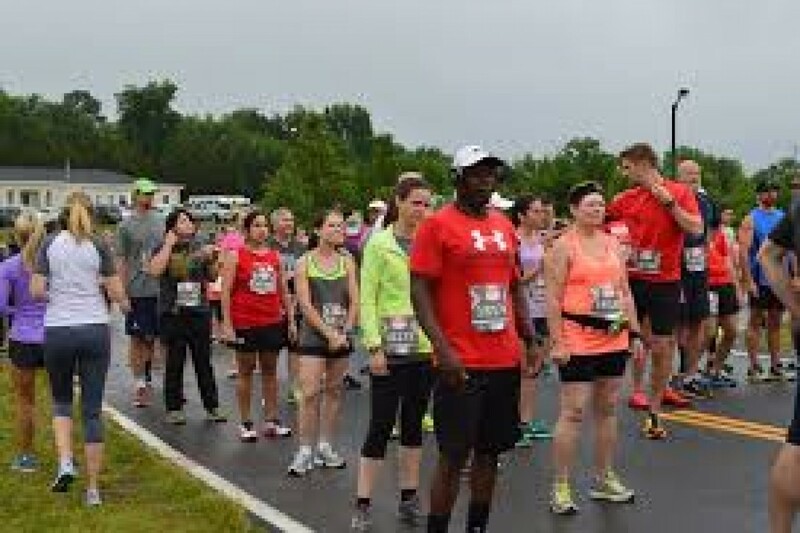 The course is basically flat and is a 1.31 mile out-and-back (2.62 mile roundtrip), so you'll never be far from food and drink and you'll always be around other runners. A shorter out-and-back section will be marked for runners completing 5K, 10K, or 33.33 to get you to the correct distance. Ten hour time limit means walkers, run-walkers, runners, skippers, and crawlers are welcome. We're more concerned about you crossing the finish line, not the amount of time it takes you to get there. Unlike others, we keep all the food and drink out until those 10 hours are up, or the last person finishes. Run 33.33 all three days, then run the extra .01 in Alabama, and earn yourself a buckle for covering 100 miles!